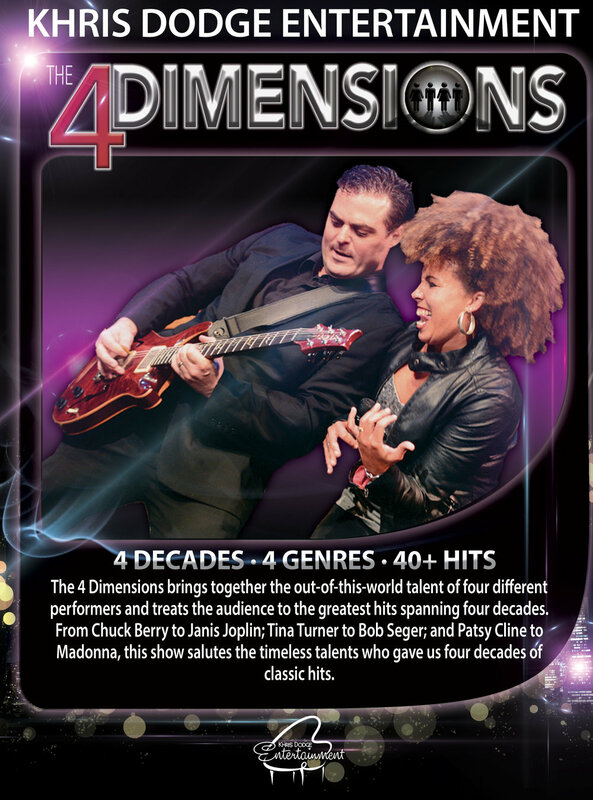 The 4 Dimensions is a show that brings together the out-of-this-world talent of 4 different performers and treats the audience to some of the greatest hits spanning 4 decades. This show is diverse in its musical presentation but universal in that every song is selected because of their timeless quality. With great harmonies, amazing instrumentation, and an incredibly fun stage show, The 4 Dimensions is pure entertainment.